K. Jan Oosthoek is an environmental historian based in Brisbane, Australia. He is author of Conquering the Highlands: A History of the Afforestation of the Scottish Uplands (2013). He has also served as vice-president of the European Society for Environmental History (2005–2007) and manages the website “Environmental History Resources” (www.eh-resources.org). Richard Hölzl is a researcher for the German Science Foundation at the University of Göttingen. 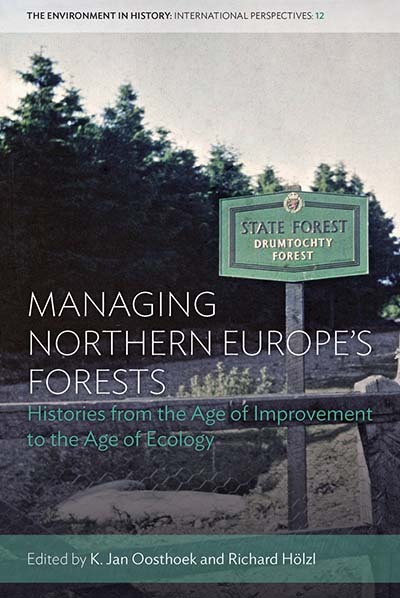 He is the author of a book on scientific forestry in Germany (Umkämpfte Wälder, 2010) and co-editor of a collection on the global history of missions (Mission Global, 2013). His article “Historicizing Sustainability” in Science as Culture was awarded the 2011 Best Article Prize by the European Society for Environmental History.